Choice. Do you chose to give the starving person you come across a bit to eat from what you have? Do you give them money to buy something? Or do you walk away? This is a small decision when compared to the larger one of deciding whether or not you want to come back to life after being obliterated by the resurrection of a God now marching through the Deadfire archipelago. But in Pillars of Eternity II: Deadfire, you'll be making choices across that entire spectrum, and it's all pulled together quite brilliantly. 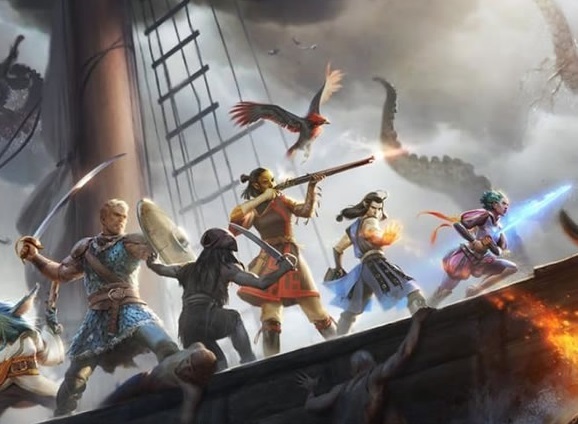 Pillars of Eternity 2: Deadfire is Obsidian’s direct sequel to Pillars of Eternity, and kicks off with the protagonist of Pillars of Eternity having to make the first of many choices - one of the more dramatic ones, as outlined above. After choosing between coming back to life or living out your next one happily as a four legged furry creature (yeah, it's not really a choice, but it does set the tone of the rest of the game beautifully), it’s time to get serious and delve into the quest proper. Again, the choices that you make are not to be taken lightly. While I may have decided to set out to the seas as a nonchalant Assassin who can do as she pleases in order to advance her goals, a Paladin representing a particular God is bound to behave in a specific way if they wish to receive their gifts and keep their powers. And those Gods can be demanding. I wouldn't be surprised if, when you play as a paladin, you do want to ignore them at times. Which you can do, in exchange for their disdain and probably something worse down the line. But sometimes that will be worth it. Pillars of Eternity 2's greatest nuance and insight is that sometimes you will indeed struggle to weigh up the pros and cons of the many decisions you need to make - they're not always going to be straightforward. Like all good RPGs, you’ll want to find the time for side quests because otherwise you may not have enough power to make it to the end. Impressively, though, where in most games side quests are a distraction away from the main story, here the various tasks feel far more intricately woven into the overall tale. All roads may indeed lead to Rome, even if in the most roundabout manner, in a manner of speaking. Pillars of Eternity 2 also does a great job at making an open world but also making sure that it doesn't feel empty. Sure there are wide open seas, with this game being far more focused on travel than its predecessor, but you're never far from a pirate ship saddling up beside you, or coming across deserted islands but even these have resources of places to explore. I once found myself landing on an island where I soon ended up needing to make a choice on whether to either sit back or to intervene against an execution. After intervening successfully, the older elf that I rescued joined my crew. This in itself seemed fairly innocuous, until a few hours later, within the pub of a major island a great distance around I came across another individual trying to track my troublesome companion down because he owed her family money. Indeed, as she told me, she had been tracking him for ages! The only reason I even met this woman was because of another task I took on regarding the deeds to an island while trying to find the local shipwright. It's the way these links flow and plot hooks flow from one to the next that is so impressive, and how organically the narrative develops as a result. 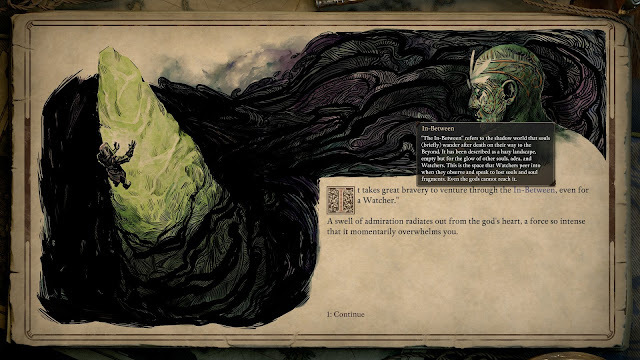 People often point to the way that Pillars of Eternity looks like the Baldur's Gate games of yore, and while that's superficially the truth, the way the narrative is spun around even the most minor decisions that you make is complex and nuanced in a way far beyond what Baldur's Gate was ever able to achieve, and so, as basic as these games might look, they really are an evolution to the point that they are every bit as modern as any other RPG out there. Indeed, there will be times where you can go for an hour without actually fighting a battle. Pillars of Eternity 2 isn't as heavily weighted towards narrative as the recent Torment: Tides of Numenera to get to the point where the game feels like it doesn't want you to get in scraps, ever, but it hits a really good balance where it can still be seen as a narrative-driven experience. 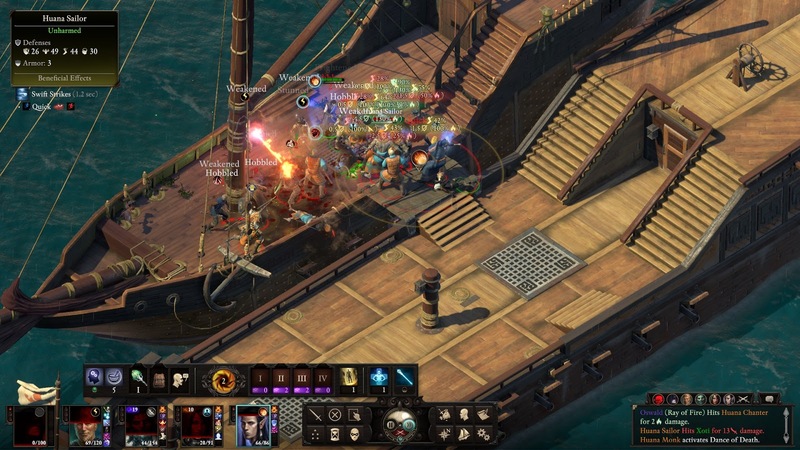 Pillars of Eternity 2 uses the same combat system as its predecessor, but makes some huge improvements in a number of critical areas, even if they seem rather subtle on the surface. Where you would previously receive Attacks of Opportunity when moving away from an enemy to try and set up a favourable strategic positioning, you can now command a character to "glide" a half-step into place, still remaining engaged and not incurring that free hit from the enemy. 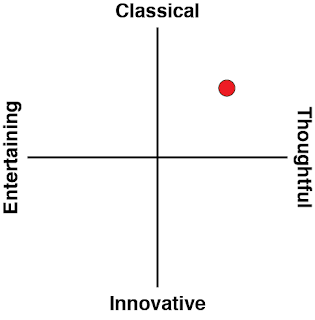 It adds substantial strategic depth to the proceedings. And that's just one example. 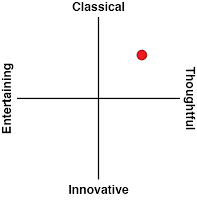 Everything about the experience has been refined and improved, while keeping firmly in mind that, as the narrative is asking you to make any number of decisions, the gameplay needs to be open to experimentation and players making a wide range of choices to suit their combat preferences too. Do you want your Rogue or Assassin to dual wield or do you want them to carry a two-handed monstrosity for maximum backstabbing damage as they unstealth? That choice should be up to you, and Pillars of Eternity 2 makes sure that there are no wrong answers. It's all down to how well you play with the strengths and limitations you've decided on for yourself. Finally there is the last of the features, naval combat. Naval combat plays out very differently to the melee combat, but every bit as well. Instead of having the terrain in front of you, you instead are provided with a parchment layout giving you all of the possible commands to be given as well as your distance and orientation from the enemy vessel. For every action that you decide to take, the enemy can do the same. Do you close the distance? Do you increase the distance? Do you turn to starboard or port in order to take aim and fire? And you better make sure you know what you’re doing when ramming an enemy vessel to board and fight them hand to hand - it could very easily result in a quick game over if they are that much better equipped than you are. Yes it happened and it took but a measly thirty seconds for my entire crew to be executed. For all of the amazing features however, Pillars of Eternity 2 has some mechanical issues. Whether playing for thirty minutes or for hours at a time, it often happens where your left-click stops working, making moving your party around or selecting dialogue options without a keyboard a true hassle. That will be fixed, I'm sure, but it's worth noting that I did need to restart the game a couple of times because this issue was becoming a real pain. If I had to sum everything up in one thought, it would be to stop what you’re doing and dive into the Deadfire archipelago. With brilliant storytelling, character development, places to see and many ways in order to do what is needed, there’s no shortage of adventure to be had. Pillars of Eternity 2: Deadfire is a fantastic experience and honestly should be a must for any admirers or lovers of the RPG genre.